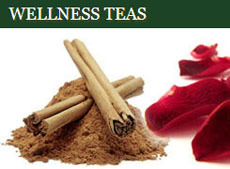 Are You Straining Away Tea Flavor? First, this is about those stainless steel mesh strainers seen just about everywhere. They come in a variety of shapes and sizes and are generally used for separating tea leaf pieces from the liquid when the infusion is done. They prevent over-infusion that can spoil your tea experience by leeching extra bits out of the tea leaves into the water. They are not meant to fill with dry tea and steep it (even though they often are), so teaballs are not included here. But we are including those mesh baskets that come inside some teapots, such as the one shown above with this Dragon & Phoenix pattern teapot. These can easily be removed and used separately to strain the tea. Others are the kind to sit or hold over the cup while pouring the tea through them. More important than the style is the mesh size, which can vary greatly. 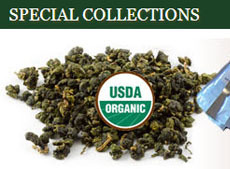 The ones with a finer mesh are designed to be used with those teas where the leaves have been ground to dust. Those with larger openings in the mesh are for broken or full leaf teas. Mesh is where fine wire is formed into a grid or mesh arrangement – woven. It is attached to a stainless steel frame, which acts as a support for the mesh. A mesh screen makes it possible to produce much smaller hole sizes (as small as 0.07 mm) than with a perforated screen. Mesh screens are usually specified in terms the number of openings per linear inch of screen, measured from the centre line of the wire. We recommend that you do not use any strainer or filter for the teas below. They are sufficiently clean and the use of a strainer will greatly influence the denseness of the tea liquid by removing larger particulate matter that contributes to mouthfeel and taste. 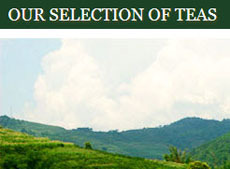 They’re all pu-erh teas, in fact, raw pu-erhs, but the same can go for just about any of the finer loose leaf teas. 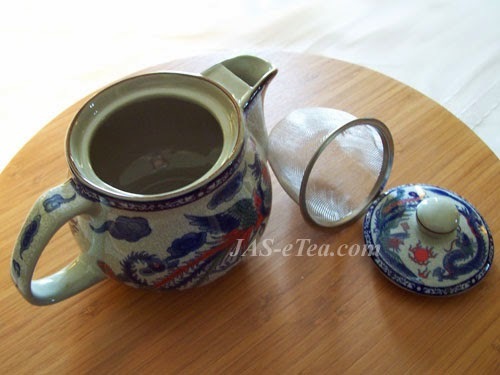 That’s why you will often see us recommending that you infuse the leaves in a gaiwan or Yixing teapot so no strainer is needed (Yixing teapots have smaller holes over the spout opening inside the teapot). Don’t miss a particle of tea goodness, and set that tea strainer aside! 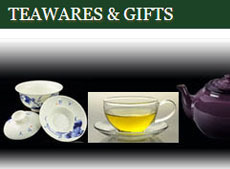 This entry was posted in Enjoying and Preparing Tea and tagged JAS-eTea, tea preparation. Bookmark the permalink. 1 Response to Are You Straining Away Tea Flavor? Would you say the same for a thirty year old Pu-erh?